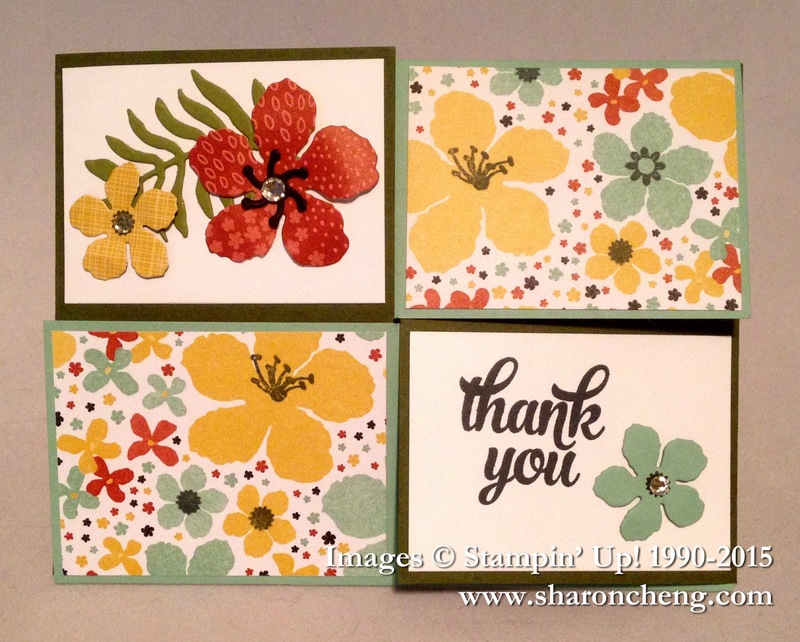 The December Splitcoaststampers Creative Crew Challenges featured multiple favorites. 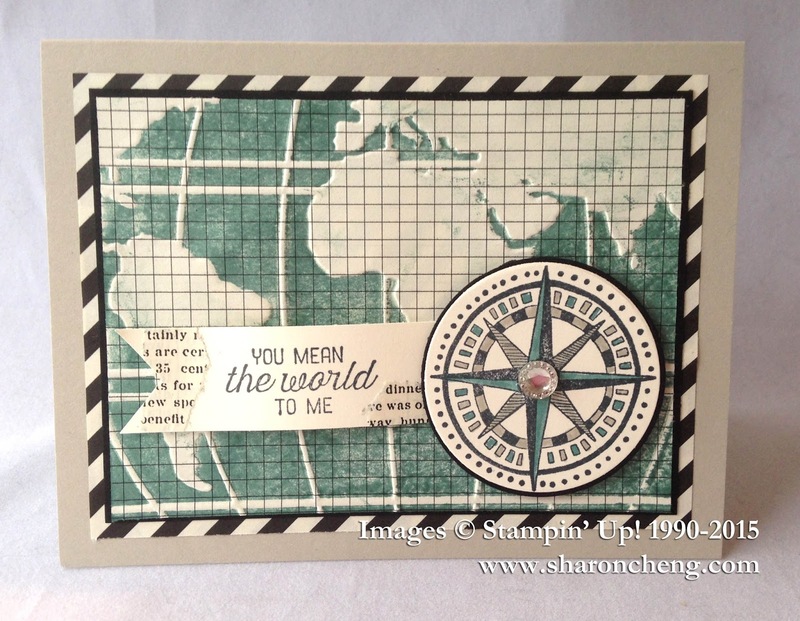 I decided to share some of my favorites from Stampin' Up! 's upcoming Occasions catalog too! 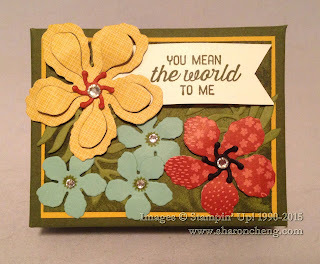 The first challenge was to use Stampin' Up! 's Typeset Specialty Designer Series Paper. 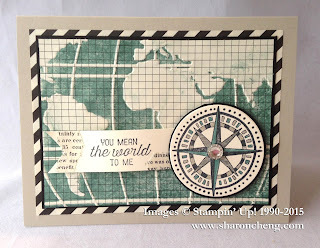 Can you find the 3 different papers that I used with the Going Global card at the top of this post? 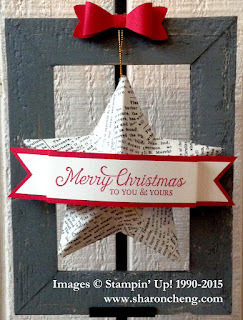 This is a quick and easy Christmas Star. 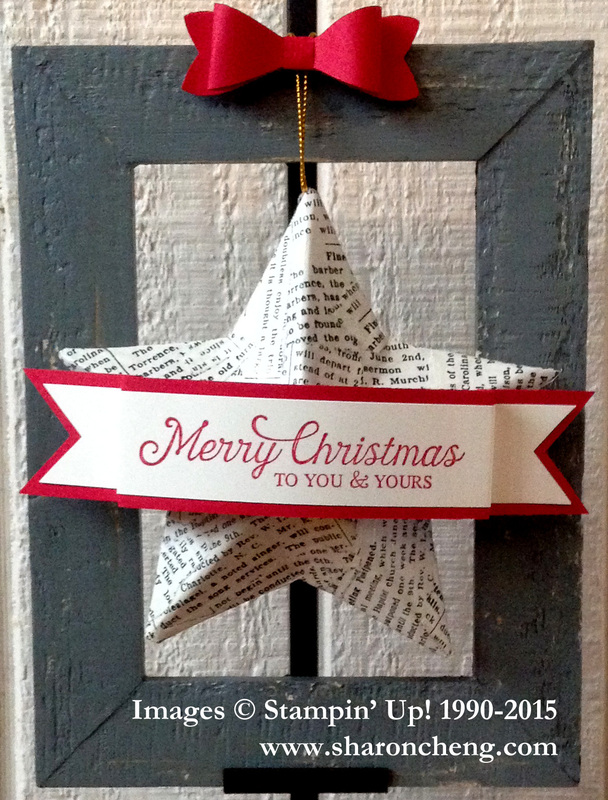 I covered a paper mache star with the Typeset Specialty Designer Series Paper. The second challenge was to use my favorite ribbon. 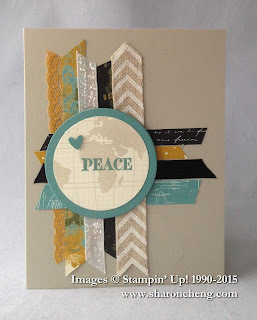 This quick and easy Peace on Earth card uses the Going Places Designer Series Paper Stack and several of my favorite ribbons. Making a gift item was the third December challenge. This mini pizza box can hold a gift card and a few treats. I made this Botanical Blooms Quarter Fold card for the 4th challenge which was to make a fun fold card. Based on Jana's suggestion, I made this quarter fold card. It was easier than I had imagined. The past 4 months as a member of the Splitcoaststampers Creative Crew have been so much fun. Join the December Splitcoaststampers Creative Crew Challenge! We would love to see your creativity! For more details on each project and the upcoming Occasions catalog, be sure to click on the links for each project.